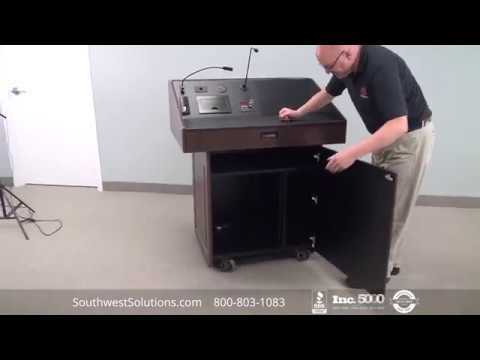 Check out this high capacity 8 foot wide security cabinet with rolling doors. 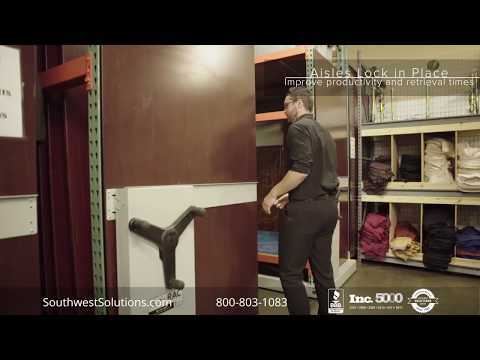 The cabinet's rolling doors open with a remote control (manually-operated doors and key switch motorized rolling security doors or also available). 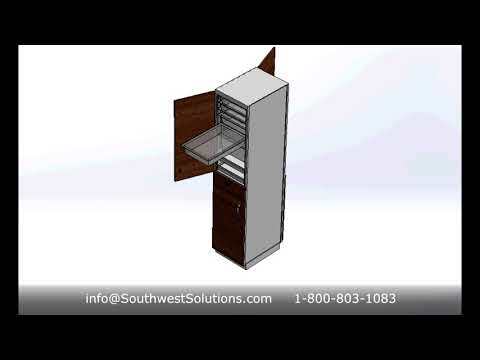 Inside the security cabinet is high capacity slider shelving unit. 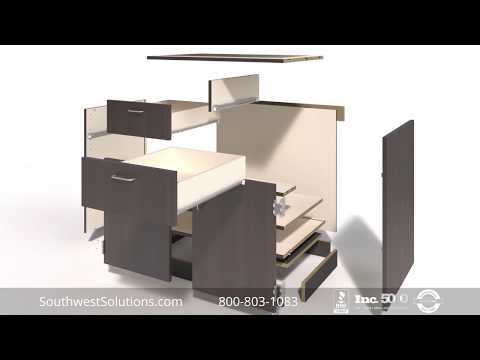 This particular slider shelving system is two rows deep with three stationary shelving units in the back and two sliding units in front. 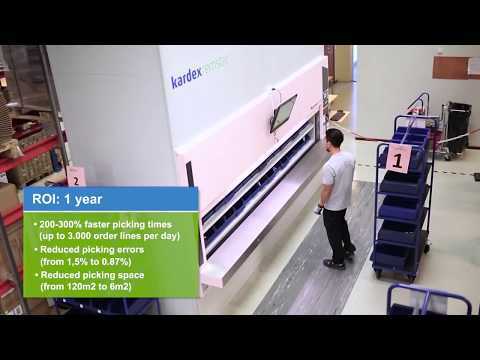 We have high capacity slider shelving units from five feet wide to twenty-one feet wide in two deep, three deep, and four deep configurations – all with optional rolling security doors. 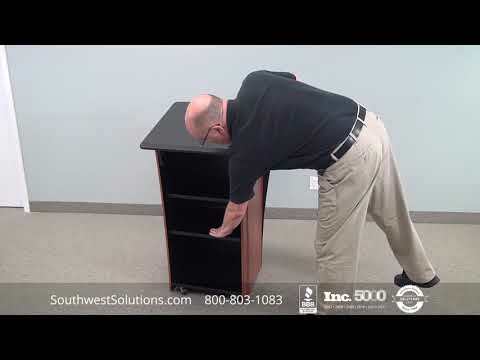 All the shelves in the high capacity cabinet system are adjustable to your unique requirements. 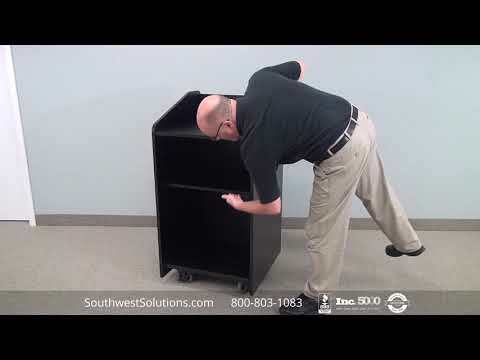 The slider shelving units move easily from left to right to allow access to the back shelving units. 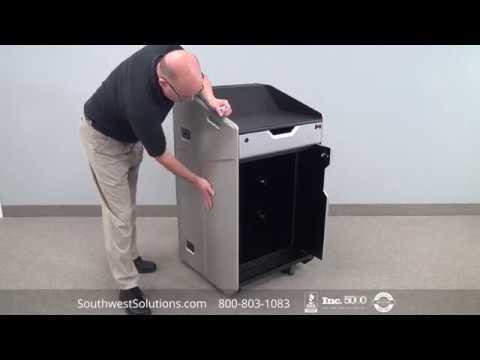 These space efficient high capacity security cabinets provide more storage in less space at a lower cost than individual storage cabinets. 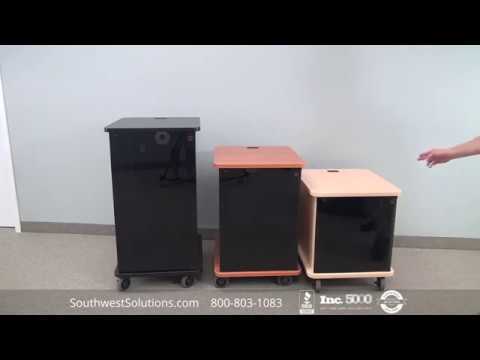 The cabinet's security doors are available in a variety of solid colors if you don’t want see through doors. 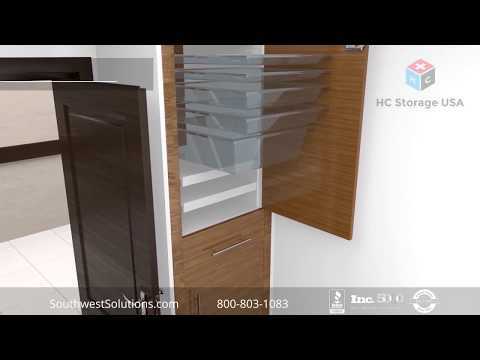 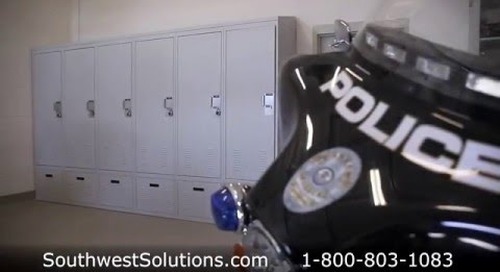 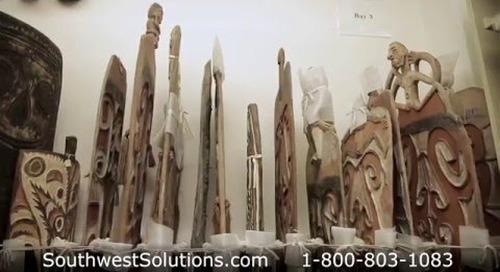 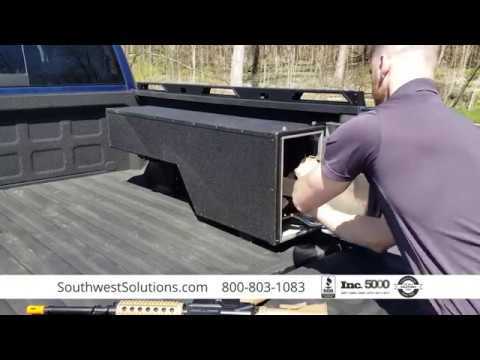 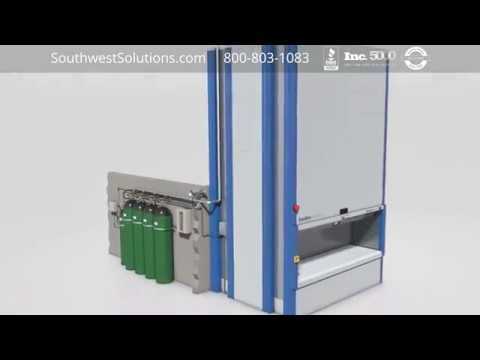 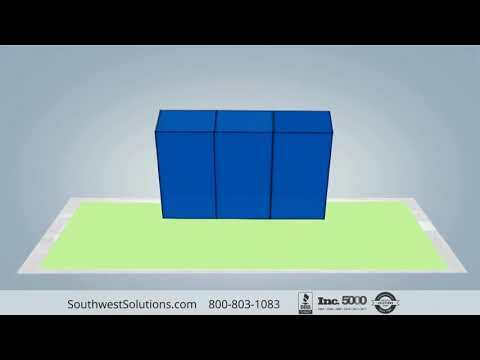 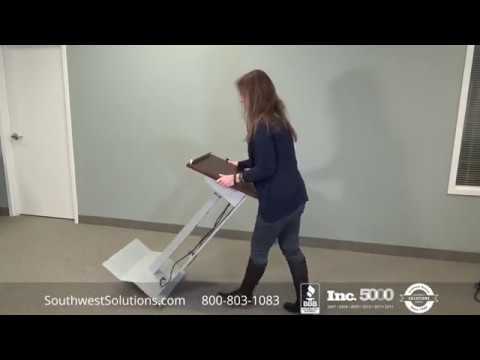 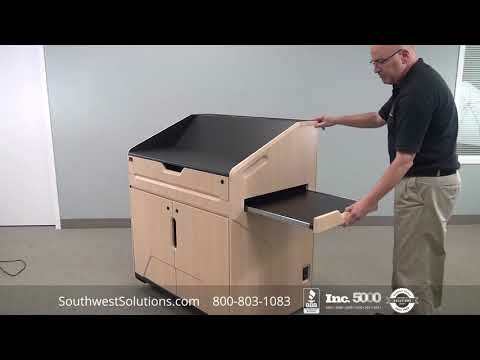 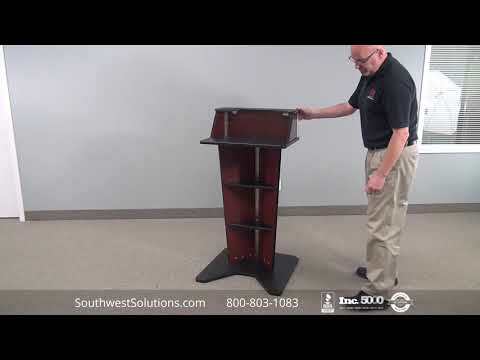 For more information about high capacity security cabinets, call us at 1-800-803-1083 or visit us at http://www.southwestsolutions.com/divisions/office.